I've used Roboform for over 10 years and love it! It's the best password manager and form filler on the market. You remember one password and it will automatically do the rest. 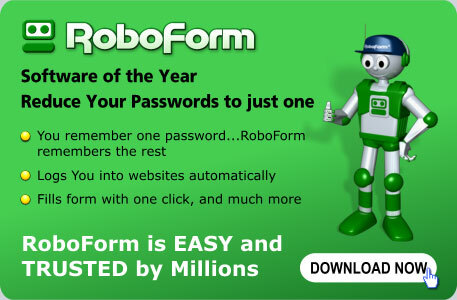 Roboform remembers your website addresses and login information and will do all the work for you. Sign-up and checkout pages are a breeze because Roboform fills in all your information automatically. You can also store any sensitive information in "Safenotes" (birthdays, Social Security #'s, etc.). Access all of this on any device...they even have a freee iPhone App.